The Montana’s Secretary of State, Linda McCulloch, announced the implementation starting August 22, 2016 of the Information Management System (SIMS) Business Entity (BE) system. This new system will allow users to file and maintain all of their business documents online 24/7 from the convenience of their home or office. Similar to launching any new software, the state personnel is prepared to assist customers through any challenges that may occur. This will be a fresh start for the State’s Business Services Division and they are confident SIMS (BE) will allow them to provide even greater customer service for their clients. “I am very excited to see the launch of the SIMS (BE) system. We have been working hard to provide the best and most innovative services for our customers”. 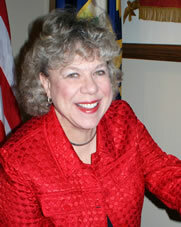 Linda McCulloch, Secretary of State. To find the most up-to-date information please visit the MT SOS website at sos.mt.gov.